My first trip to the United States was inspired by a statement I read on the University of Texas at Austin’s website: “What starts here changes the world.” This prompted me to reflect on how I could improve educational opportunities in Uzbekistan and led me to pursue a Fulbright Foreign Language Teaching Assistantship. Serving as a cultural and language ambassador through the Fulbright Foreign Language Teaching Assistantship Program at the University of Texas at Austin was a meaningful start to sharing the language learning techniques I obtained at the Texas Language Center. Additionally, as a faculty member, I worked with the Canvas online course management system and observed how it can enhance student-teacher interactions. Canvas has the potential to offer vast improvements to academic outcomes in Uzbekistan. The next step in my work was to become a language professional with international experience and cultural sensitivity who could contribute to Uzbekistan’s educational systems. The common perception of my country is that it is a novice-independent, developing nation, which is rapidly improving in areas such as foreign language education. 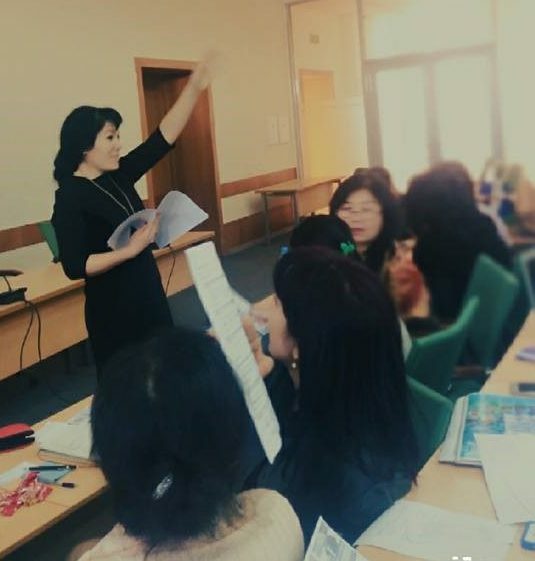 Currently, I am a lecturer of Country Studies, Foreign Language Acquisition, English for Lawyers and Intercultural Competence courses at Tashkent State University of Law. The professional contacts I gained through the Fulbright Program have enabled essential additions to my lectures such as online videoconferences with fellow Fulbrighters from the Philippines and Turkey, and virtually connecting them with my students. My students are now able to connect with students from other countries and share their cultures, skills, and interests – all in English. While at the Texas Language Center, I arranged seasonal workshops for foreign language teachers. Upon returning to Uzbekistan, I used similar principles to organize a Peer Support Group for several experienced English teachers. This team visits remote areas and offers workshops to help teachers improve their English speaking and writing skills, obtain new teaching techniques, as well as online materials. I am deeply grateful to the U.S. State Department, the Institute of International Education, and the U.S. Embassy in Tashkent for launching this project and giving teachers like me an opportunity to refine our skills, learn about American society and values, and collaborate with our colleagues on a global scale. “What starts here changes the world” is happening in Uzbekistan with your help and participation!